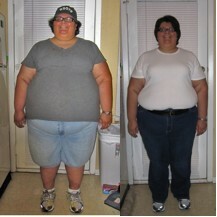 At left, me in August 2010 when I began this road to health. At right, me today, -92 pounds lighter. Not going to make my Valentine’s goal of -100. I’m okay with that. If I can hit -95 by Valentine’s, which I think I can, I’ll be happy. I want to hit and exceed -100 by my birthday in March, though. If I can get there before my birthday, even better. Increasing my cardio workouts helped, I think. So that’s what I’m going to keep on doing. This week: 20 minute walks on the treadmill every time I go to the gym, coupled with my recumbent bike riding and strength training. Guess I need to get up a tiny bit earlier to fit it all in. This entry was posted in progreso, Uncategorized and tagged progress report. Bookmark the permalink. Thanks, Sun! I am grateful to have such great friends and family supporting me in this effort…it hasn’t always been easy! But, it’s like I say every week: onward!